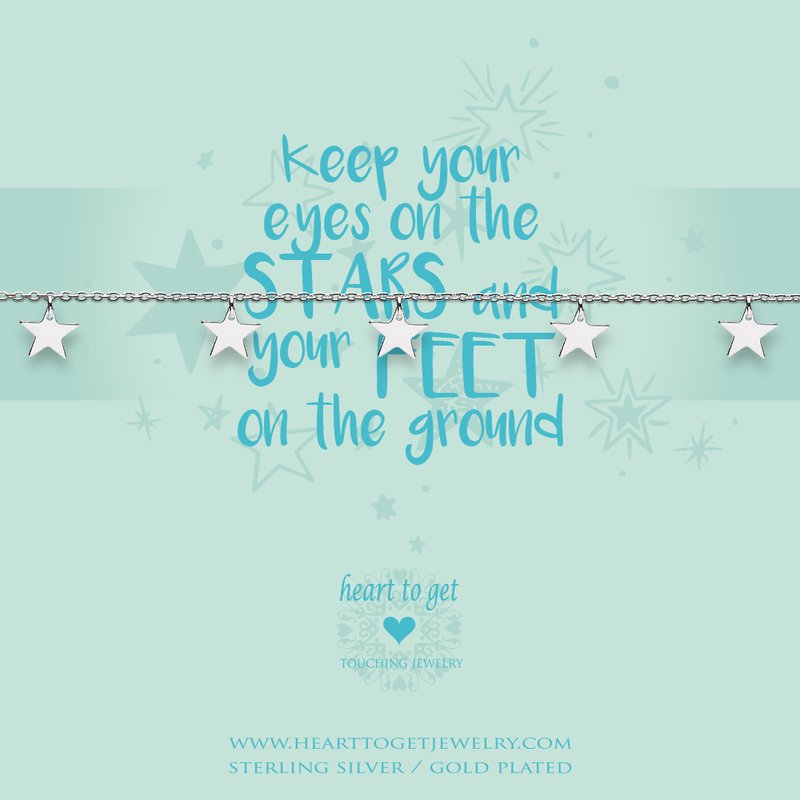 Heart to Get bracelet stars is from the Classic Collection. A collection with everything you always wanted. Necklaces and bracelets with cute little symbols! You name it, we have it. 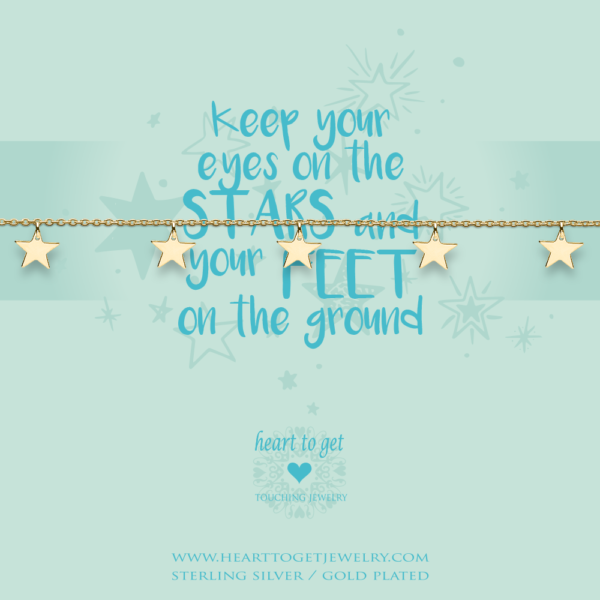 This bracelet wears the message ‘Keep your eyes on the stars and your feet on the ground’. Length of the bracelet: 16 cm + 2 cm extension. Available in silver or gold plated. Do you want to make your bracelet a little longer? Shop an extension here! This bracelet is perfect for matching with other Heart to Get bracelets! Match this bracelet stars with our other dangling bracelets to cheer up every outfit. Don’t wait too long and shop it now! You never have enough bracelets! Mix and match this bracelet together with other Heart to Get Jewelry bracelets.